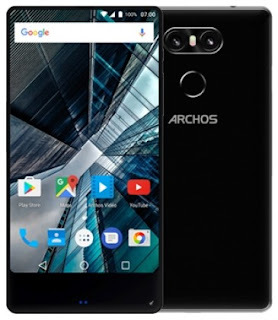 The French company Archos just announced four new smartphones. Two of them are from the Diamond series - the Diamond Alpha and the Diamond Gamma and the other two are the Sense 55s and the Sense 50x. All the phones will be available on the European market in July. The most interesting of the bunch is the Diamond Alpha. 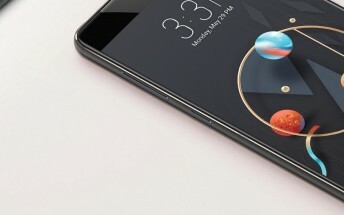 It has a 5.2” display with Full HD resolution and a Snapdragon 652 chipset with 4 GB RAM and 64 GB storage. On the back sit two 13 MP cameras with Sony IMX286 sensor. One is RGB while the other shoots monochrome pictures. The front camera is 16 MP and supports 4K video recording. There is a fingerprint scanner on the back and no home button on the front. But there is something suspicious below the screen. A small red circle on the front reveals that this is indeed a rebranded nubia Z17 mini, already launched in China by ZTE and Cristiano Ronaldo. The Diamond Alpha costs €299 after a €50 rebate. A more affordable Diamond is the Gamma phone. 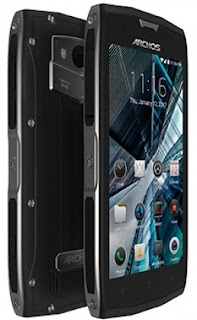 It has an aluminum body with a profile of under 8 mm. On the front is 5.5” IPS display with 720p resolution, while the chipset is Snapdragon 435. The memory combo is 3 GB RAM + 32 GB storage, but there is a microSD slot for expanding that. Archos Diamond Gamma will cost €199. 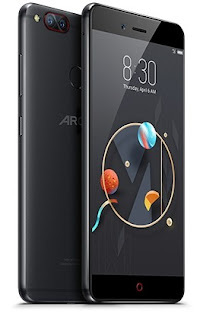 The Archos Sense 55S comes with a 5.5” display that takes 78% of the front panel. The RAM is only 2 GB and the storage is just 16 GB which can be expanded with 128 GB more with a microSD slot. The back is occupied by a dual-camera setup (both being 8 MP) and a fingerprint scanner underneath. Android 7.0 Nougat is the OS in the Sense 55S. 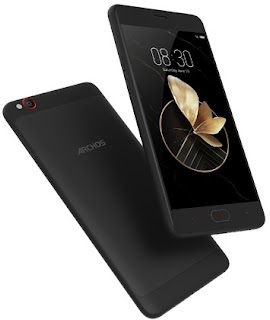 Archos promises the 3000 mAh battery could "easily go through the entire day". The Sense 55S will cost €249. Archos Sense 50X is all about the durability - it comes with a rugged body that is IP68-certified. It is resistant to drops from up to 1 meter and water submersion for 30 minutes. You can also use it in temperatures between -20 degrees and +50 degrees. The front is protected by a Gorilla Glass 3. Specs-wise, the Sense 50X has a Mediatek MT6737T chipset with four CPU cores, clocked at 1.5 GHz. It also packs 3 GB RAM and 32 GB storage. The price tag of the phone is €169.